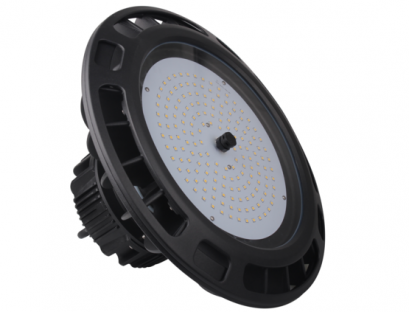 Looking for and easy way to update your old high bay auditorium lighting or gymnasium lights to LED, not spend a lot of money, get great lighting and only take about 20 minutes to install? Check This Out! This is about as simple as it gets. Disconnect the Old Ballast wire direct and screw this 150W LED light in and your done. Takes about 20 minutes. 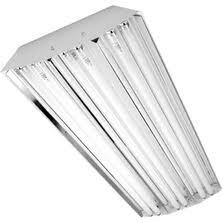 This replaces a 400W Metal Halide Lamp. We also used 5000K color as this is what works best for gym lighting in our estimation. You want bright light and this color works best for this style of light. The players love it and when the use the gym for other functions this color of light makes any kind of reading material print just pop off the page. We are changing libraries daily to 5000K. It makes reading so much easier. 5000K will be the new NORM for schools one day. This was one of our latest auditorium lighting projects at a juvenile detention center. 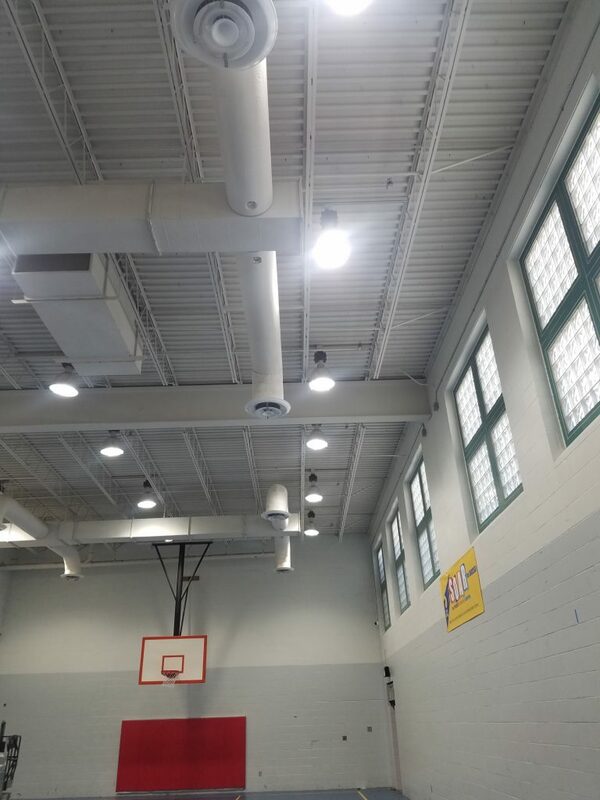 We replaced their existing 400W metal halide lamps with our 150W Screw in LED lamp and presto….great lighting and huge savings in electricity usage. They love the lights. 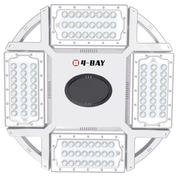 These screw in LED lights work great for any kind of auditorium lights, gym lights, basketball court lights, volleyball court lighting, commercial gym lighting or halls where you have existing high bay metal halide lamps. 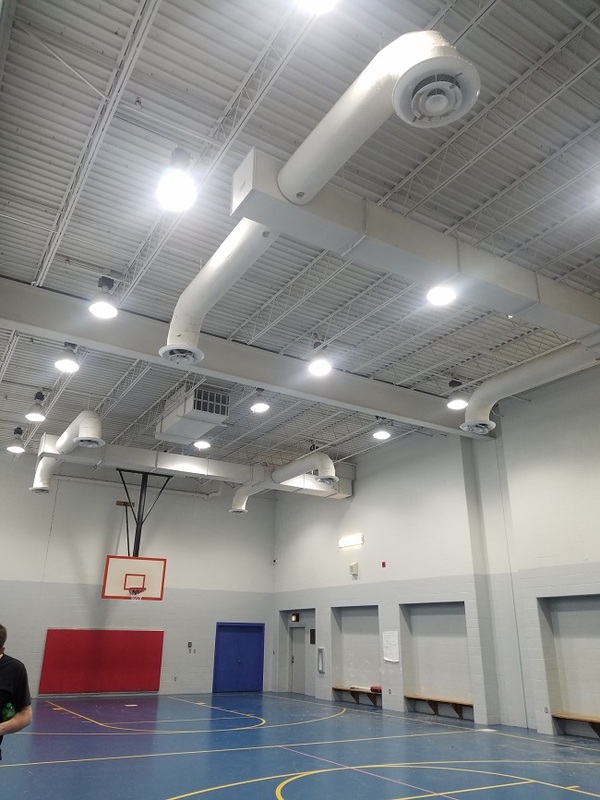 Below is another one of our recent gymnasium lighting LED retrofit jobs at a Church in Kentucky. They got tired of replacing their old metal halide lamps and having them being different colors as they go older so they contacted Neu-Tech Energy Solutions to update their existing 400W lamps to our new simple Screw In 150W LED light. It took about 20 minute each and one of their church members did the job. Simple, convenient, low cost and great lighting. Give one of our LED lighting Experts A Call. We will help you pick out the right light to install in your existing fixture. Call 513-702-3533….Great Lighting Is ONLY a phone call away. 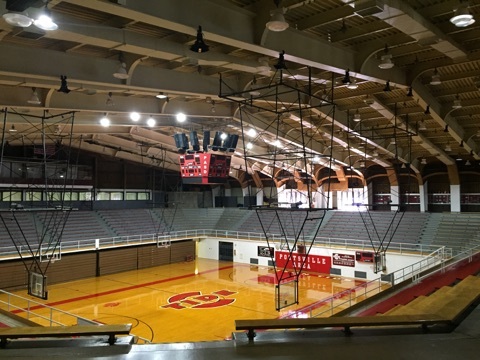 Below is one of our larger jobs we did up in Pennsylvania at a very large High School. 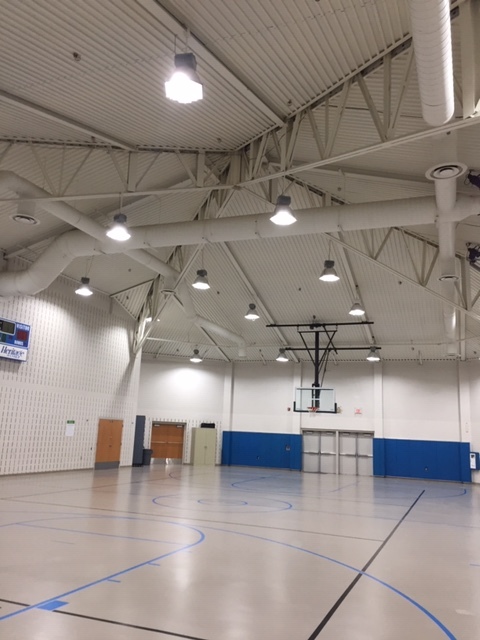 This gym had 1000W Metal Halid Lamps and we replaced them with 300W LED Retrofit lights. The school loved the look and loved the new 5000K LED lighting color. Extremely bright. 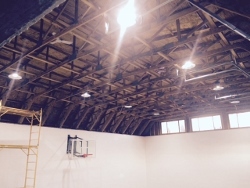 Gymnasium Lighting comes in many different style fixtures. 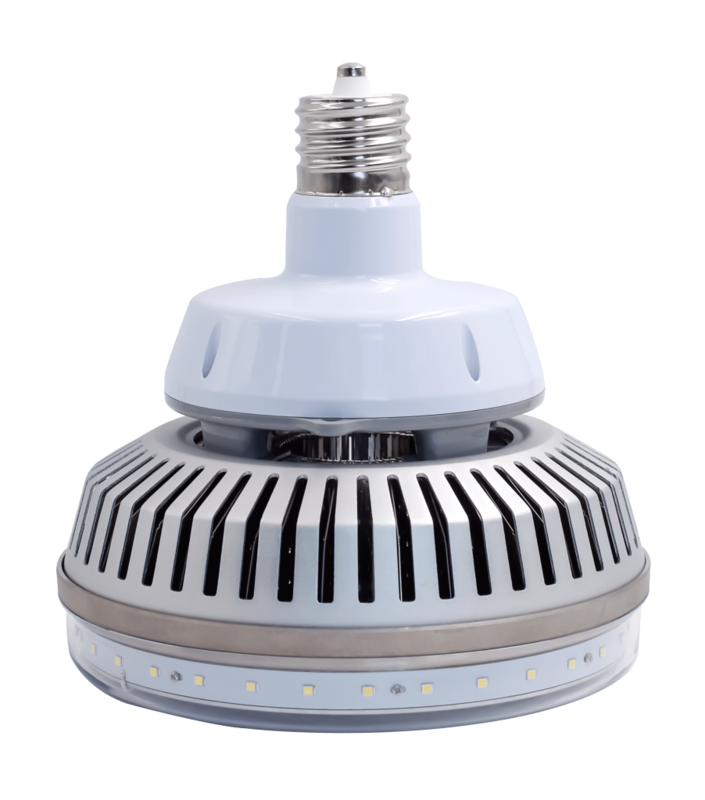 We can help you retrofit your existing fixtures or we can help you design a new style light with more wattage and lumens (brightness). 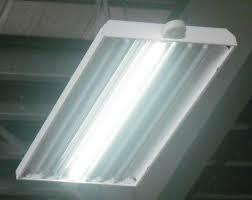 We have LED linear lights that come with LED Tubes or LED Strips. Either one works great. With the strips we can get you more wattage if your gymnasium is higher than others. We will work with you to get you the light you want for your application. 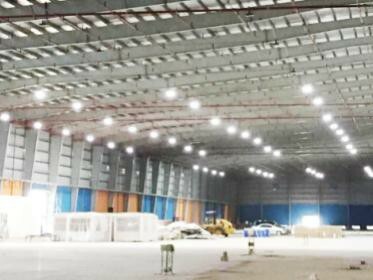 High Bay LED Installation. Whatever kind of application you have for gymnasiums, auditoriums and high bay lighting we can help you get the light you need for your particular need. Over 10 years experience and tens of thousands of applications worldwide. Call the experts first. This decision will last you 10+ years. Don’t rely on a shopping cart to help you decide what you need. Call the experts first.